Summer officially starts today but the reality of summer has been making homes and offices hotter for months! Tampa Bay, Orlando and Sarasota-Bradenton homes face summer-like temperatures from March until November and that’s one long hot summer! Window Film by Advanced Film Solutions stops heat, glare and UV from entering through your windows. Solar control Vista Film, LLumar and Huper Optik filter out 99.9% of the UV. These coatings can block 85% of the heat from making your rooms feel like an oven. Durable and scratch resistant; these coatings are warranted for a lifetime and in thicker security versions these same films can improve your home security and safety while lowering monthly energy bills by 30%. You decide just how light or dark, reflective or non-reflective you want your glass to be. Our Huper Optik films meet all deed restrictions without changing the appearance of your glass. 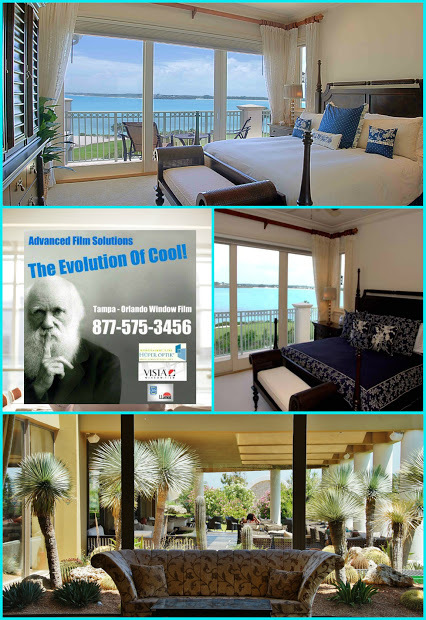 Fight summer heat starting today by calling Florida’s number one window film installation company.